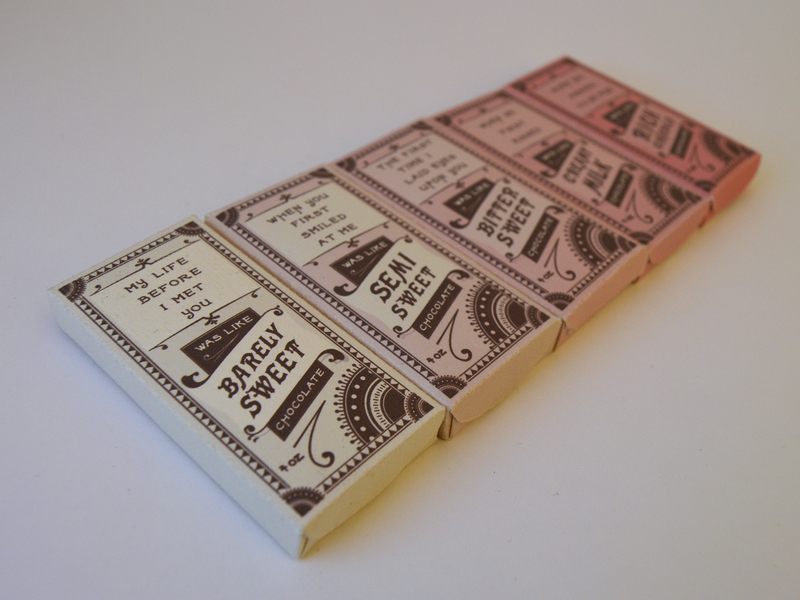 Inspired by the idea of a romance growing and evolving, I designed a Victorian-era influenced box of chocolates. 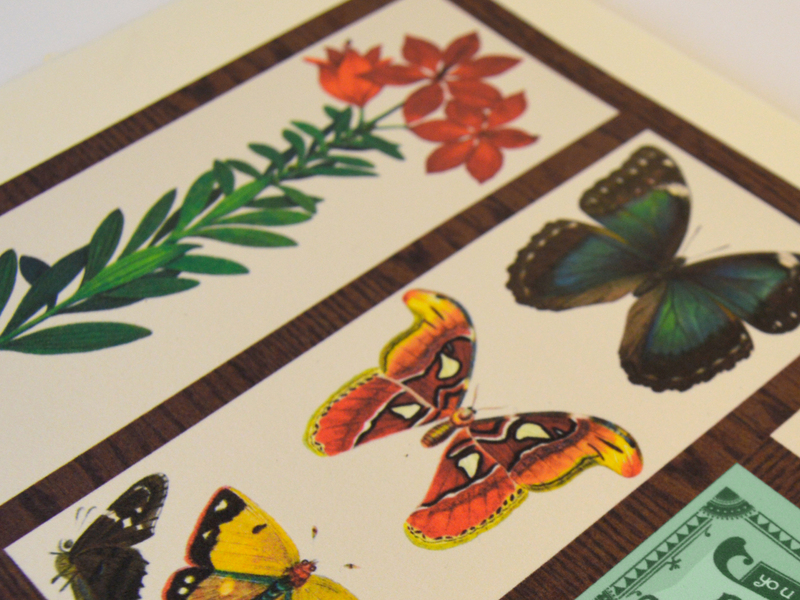 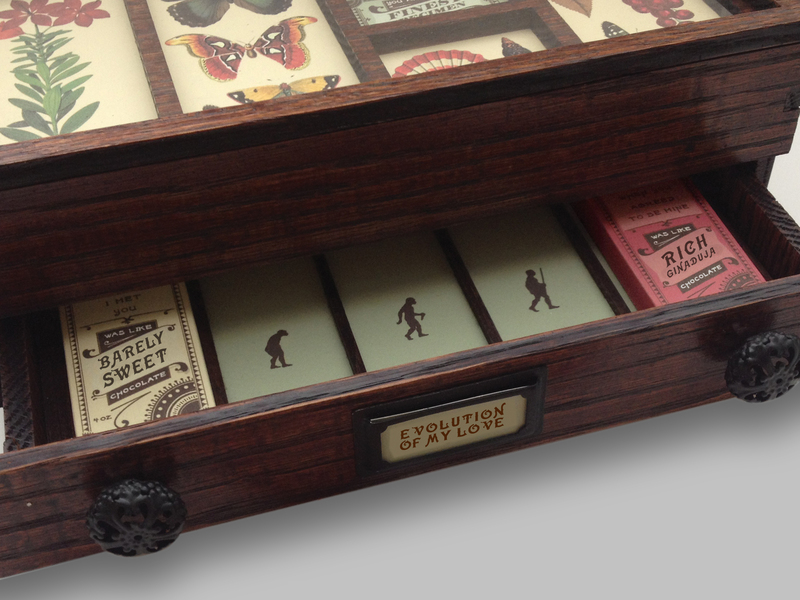 The hand crafted wooden specimen cabinet contains a drawer that holds individually packaged chocolates. 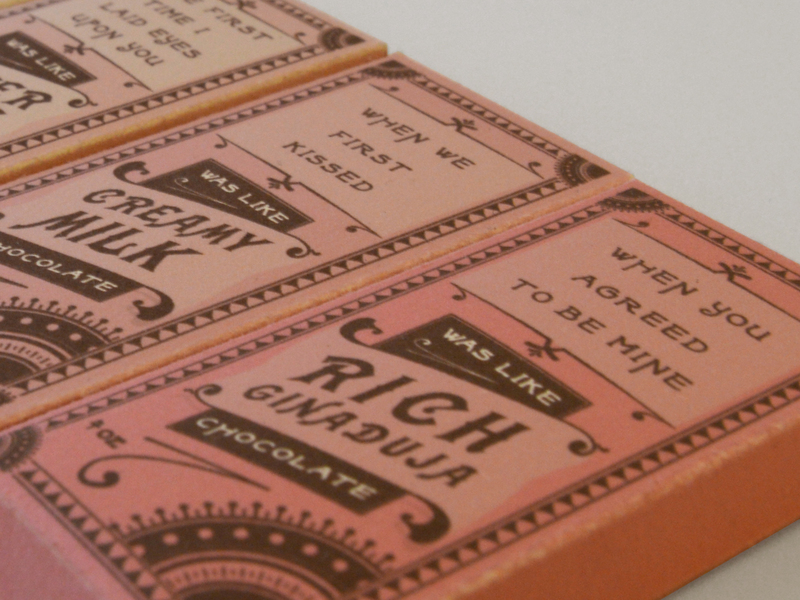 Reading from left to right, the boxes explain the stages of an unfolding courtship - from The “Barely Sweet” life before their introduction to the richest “Ginaduja Chocolate,” when the suitor finally achieves the beloved’s favor. 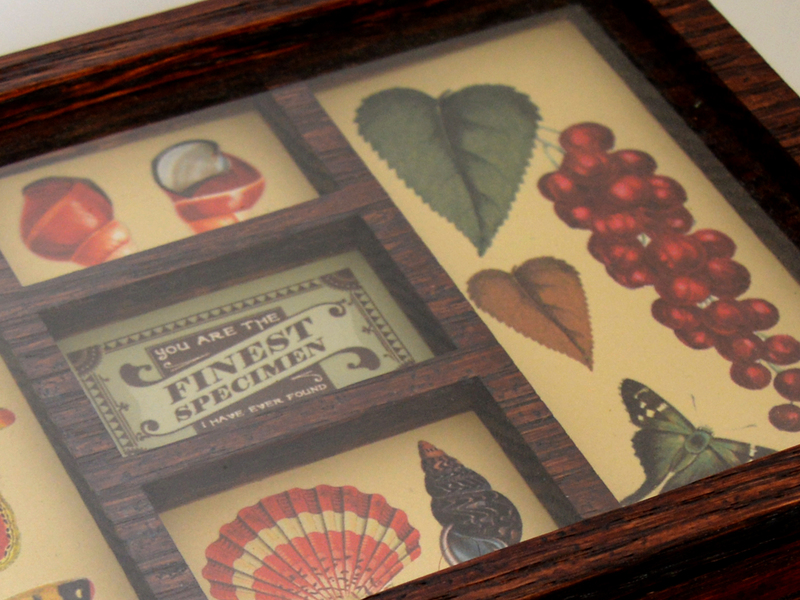 1st place - 2014 Sophomore Love Design Exhibition, (Hallmark Choice).